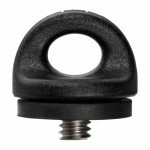 Includes one BlackRapid FastenR for quick, easy and secure attachment to any standard 1/4-20” thread mount. 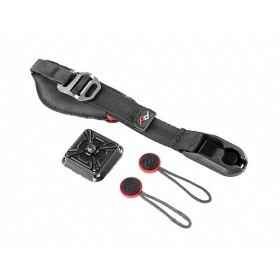 The Wrist Strap Breathe from Black Rapid features a Nylon seat belt webbing construction for maximum durability and comfort. 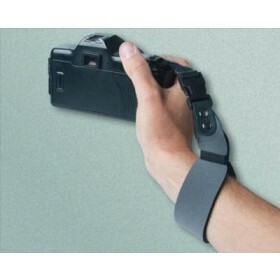 Ideal for travel or for when shooting on the move, the Wrist Strap is fully adjustable for a snug fit. Comes complete with nylon soft pouch for safe storage and transport. Please note that a BlackRapid FastenR (not included) is required to attach the Wrist Strap to a camera's 1/4"-20 tripod mount. A lighter and less restricting option than an ordinary camera strap, the Wrist Strap Breathe from BlackRapid allows you to hold your camera tightly in hand without fear of it slipping or being grabbed. The Wrist Strap features a durable, yet lightweight construction thanks to BlackRapid's new Breathe technology and has a ladderlock buckle allowing its nylon webbing to be adjusted for a comfortable, snug fit - a must for when shooting on the move. For added security, the strap includes the ConnectR locking carabiner with a Lockstar Breathe plastic carabiner protector. BlackRapid FastenR is not included. A BlackRapid FastenR (not included) is required to create a connection point using a camera's 1/4"-20 tripod mount. 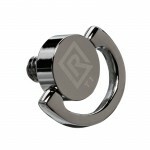 The included BlackRapid FR-5 FastenR Breathe features a large, integrated D-ring for easy use with BlackRapid straps that utilize a CR-3 ConnectR locking carabiner.